Carina – you have won a Kindle download of Under the Kissing Bough, no geographical restrictions. 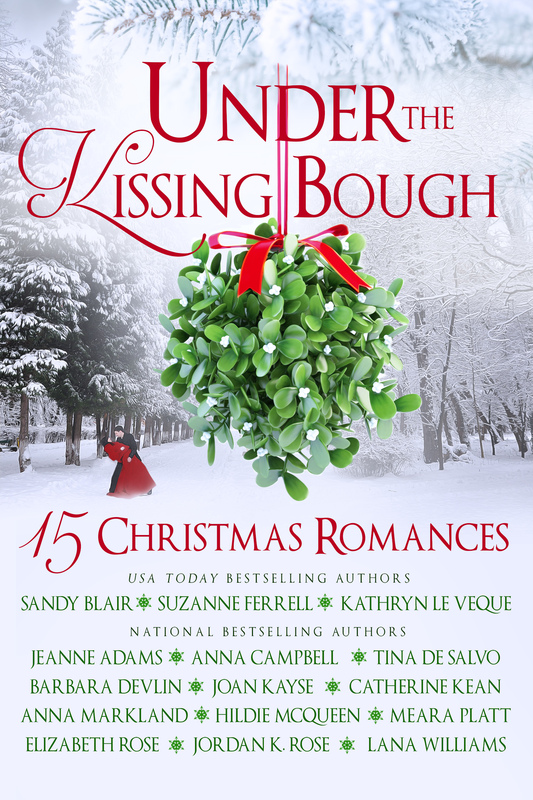 phyllisc7 you have won an e-copy of Under the Kissing Bough. ALL WINNERS HAVE 24 hours to comment on this post and then a new winner will be selected. Welcome to the witchiest town in the world––Haven Harbor, Massachusetts! It’s the merriest of holidays and Yule and Christmas celebrations bring out the mischief and mistletoe. Caught under the kissing bough, Annie Boylston and Reyn Shapleigh are elected the King and Queen of the Yule Ball, and must spend the week in revelry and celebration. Unfortunately, someone in town isn’t so happy about the holidays. An arsonist is trying to disrupt the joyful season, bringing fire and destruction to Haven Harbor. As the fire chief, Reyn is on the front line, using every bit of his training and magick to find the firebug. Annie’s cooking store is one of the arsonist’s targets, as are other thriving businesses in town. As the fire of attraction grows between Reyn and Annie, the arsonist gets bolder. In a race to stop the fires, Reyn and Annie find one another in this hot mistletoe tale! A Yule to Remember is Reyn and Annie’s story, two characters from her Haven Harbor Series. Haven Harbor is a town of magick, mystery and excitement. There is never a dull moment, despite the holidays fast approaching and a King and Queen to be crowned at the Ball, there are people ready to destroy all the merriment. Annie runs the local cooking shop in Haven Harbor and when she discovers that Reyn, the town Fire Chief has something she can’t shake, things begin to heat up. With the Yule Ball approaching, an arsonist, and the town Fire Chief’s attraction towards Annie, what will Reyn do? In a town full of magick, mystery and excitement for the holidays will the mistletoe spark a love connection? 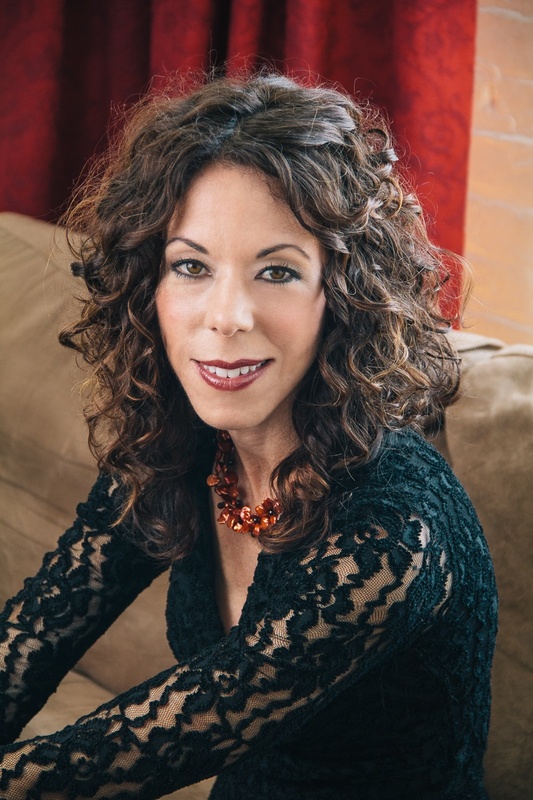 Jeanne specializes in thrills and suspense. Even her paranormal and urban fantasies have a suspense element, so be prepared! She loves football, baseball, dogs, Halloween and the weird and she teaches classes for writers on body disposal. 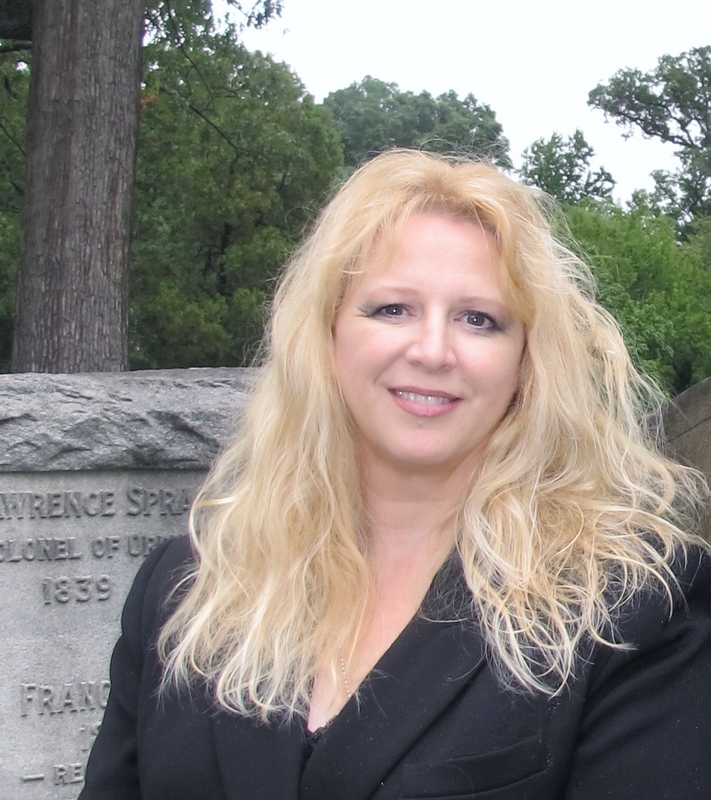 Jeanne lives in DC with her husband and two growing sons, as well as three dogs – two Labs and an Irish Water Spaniel. Don’t tell, but she’s prone to adopting more dogs when her husband isn’t looking. Edmund Black, Major Lord Canforth, has devoted eight tumultuous years to fighting Napoleon. Finally Europe is at peace, and he can retire to his estates and the lovely wife he hasn’t seen since their brief, unhappy honeymoon. The innocent girl he loved from the first moment he saw her, but who shied away from him on their wedding night. 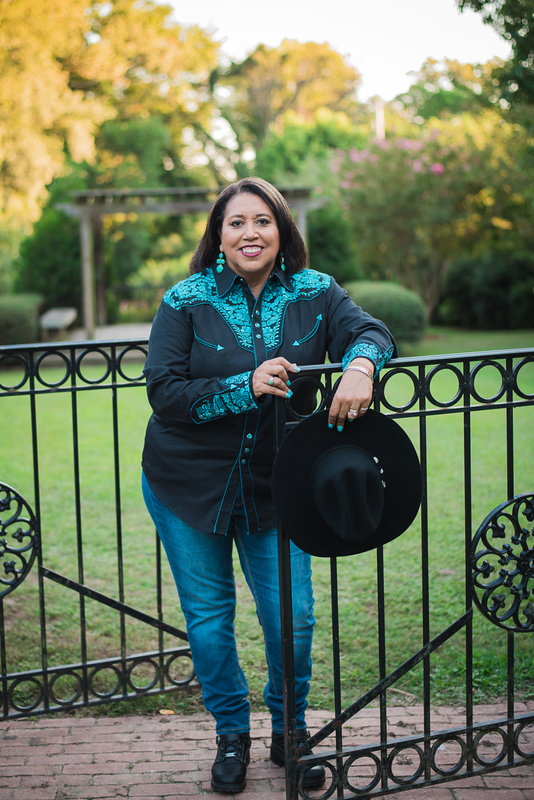 Fate has granted an older, wiser Felicity a second chance to win her husband’s heart. Now nothing is going to stop her from claiming victory over the famous war hero. This Christmas, she’ll deploy every ounce of courage, purpose and passion to seize the life and love she’s longed for ever since Canforth left to serve his country. Whatever it costs, whatever it takes, she’ll lure the dashing Major back into her bed, where she means to show him he’s the only man she wants as her lover—and her love. I love a reunion story, don’t you? And there’s something especially poignant about lovers resolving their differences and coming together at Christmas. I really enjoyed writing Mistletoe and the Major, my contribution to the marvelous anthology Under the Kissing Bough. Gallant Lord Canforth returns from fighting Napoleon to make his peace with the spirited bride he hasn’t seen in eight long years. He and Felicity love each other, but they don’t know it. Well, not when the story starts, at least! I’ve got a feeling a happy ending might be waiting, courtesy of a few kisses under the mistletoe, a dollop of long-denied passion, and a little honest conversation! Felicity, Lady Candorth has waited eight years to see her husband, is he the same man who left her all those years ago? War changes everyone and the years have been difficult for both. Edmund Black has left the military and returned to the life he left behind. 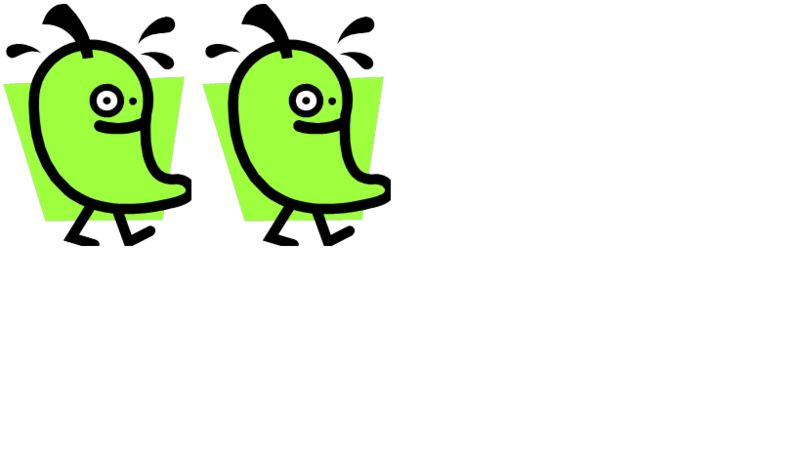 Many things worry him but the one thought he can’t escape is will his wife be happy to see him. He is not the same man that left her and he fears his homecoming will destroy their marriage. I love a great homecoming story, one filled with struggles, secrets and characters who have yet to see the beauty that was there all along. Both have grown and are wiser for the time apart. Anna’s stories of re-kindled love, especially with beloved characters as these two are on my auto-buy list and hopefully yours soon too. Anna’s stories is a wonderful addition to a magical anthology. Rush now and download her backlist, you will thank me ;). Australian Anna Campbell has written ten multi award-winning historical romances for Grand Central Publishing and Avon HarperCollins and her work is published in 18 languages. 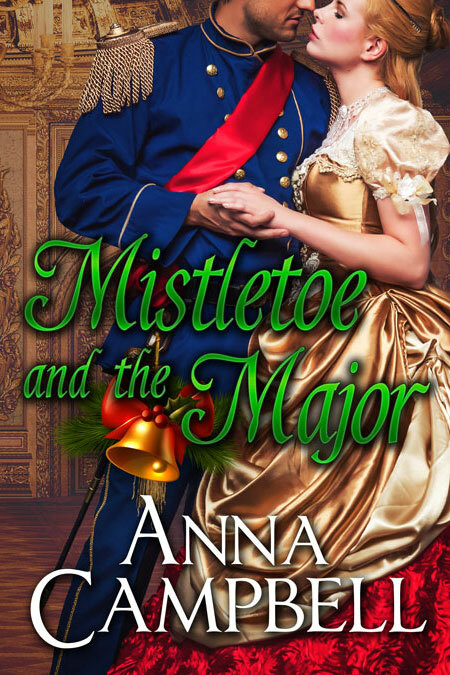 This Christmas, Anna has written two seasonal novellas, “Mistletoe and the Major” from the multi-author anthology Under the Kissing Bough, and the stand-alone, A Match Made in Mistletoe, out 30th November. Her website is www.annacampbell.com You can find her on Facebook at https://www.facebook.com/AnnaCampbellFans/?pnref=lhc and on Twitter at @AnnaCampbellOz. 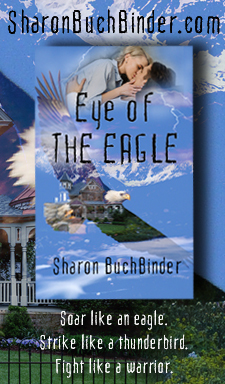 Christina Mills has no choice but to escape a life of hardship and now uncertain danger before it’s too late. The risks she take to do what’s right will take courage and trust. Right from the start I was hooked on this holiday tale, an adventure into the west seeking a better life. Alexander Barrett Patterson is lucky to be alive. Home from the war this tradesman is lacking for nothing, well almost nothing. He is still struggling with the war and the effects have lingered. Will this kind hearted man find love? Will Barrett put aside his worries and let himself be loved? 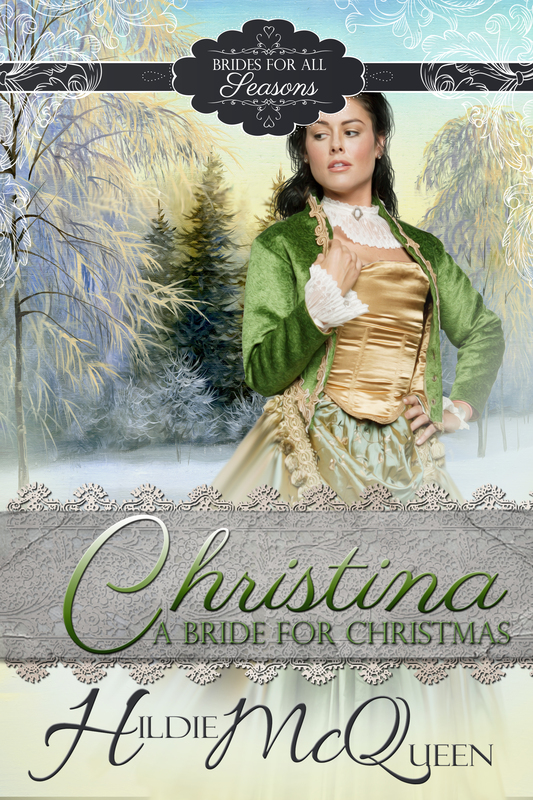 Both Barrett and Christina have suffered and it may take a few meddling matchmakers interfere before Christmas to nudge our sweet heroine and hero together. Two strangers will find out that they’re union is part mistletoe lore, part holiday magic and just meant to be. Be sure to check out Hildie’s backlist and discover why she’s in this anthology. 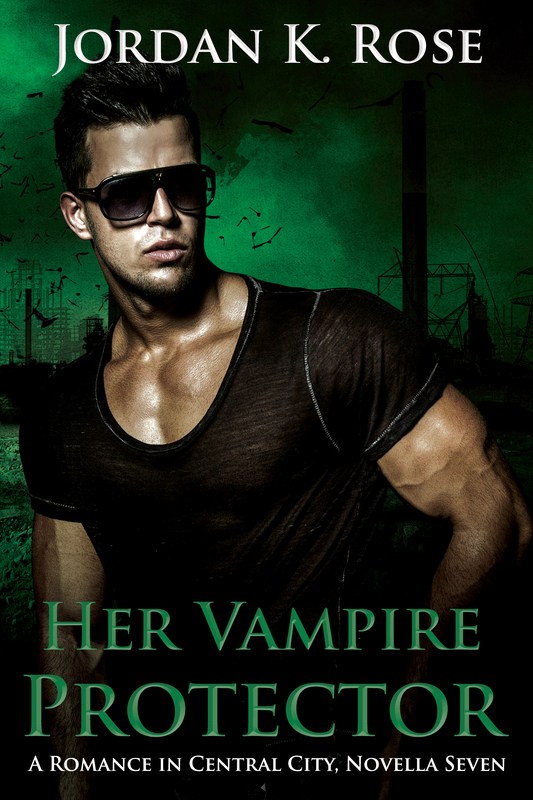 Her Vampire Protector by Jordan K. Rose is a paranormal romance full of secrets, experiments and revenge. Oswald Addison has kept a secret that consumes him daily. Selene Kittery is finding it difficult to hide her attraction to the one man she can’t have. Don’t miss this paranormal tale with two characters who discover that sometimes when you wish really hard, they do come true. The Eva Prim Series follows the night-to-night escapades of The Demon Mistress, a vampire with the inexplicable ability to call demons. With both full-length novels and short stories the series has a bit of something for everyone. Book three, The Road To Hell, releases in Fall of 2017. Jordan’s other books include Black Magic Rose, book one of The Alliance Series, where the world is set in a hospital run by vampires and werewolves; and The Central City Romance Series, where members of The Vampire Guard one-by-one find love in the ruins of the city. Her Vampire Protector releases in the Under The Kissing Bough Box Set on November 22nd. Anna has a Kindle download of Under the Kissing Bough to go to someone who comments today, no geographical restrictions. FIVE e-copies of Under the Kissing Bough. What is your favorite reunion romance? Winner will be announced on this blog post on 11/21/16 sometime after 6:00 PM.